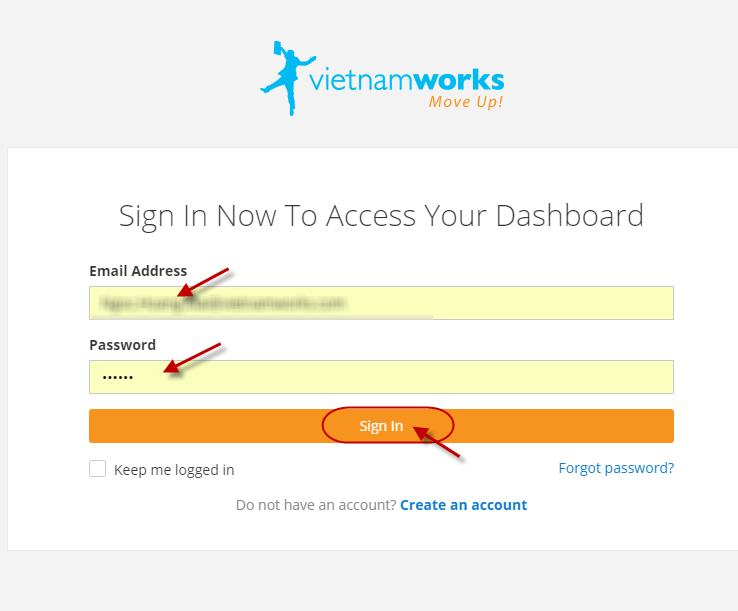 Check your NEW mailbox for activation request from VietnamWorks, then follow the instructions to activate a new account. 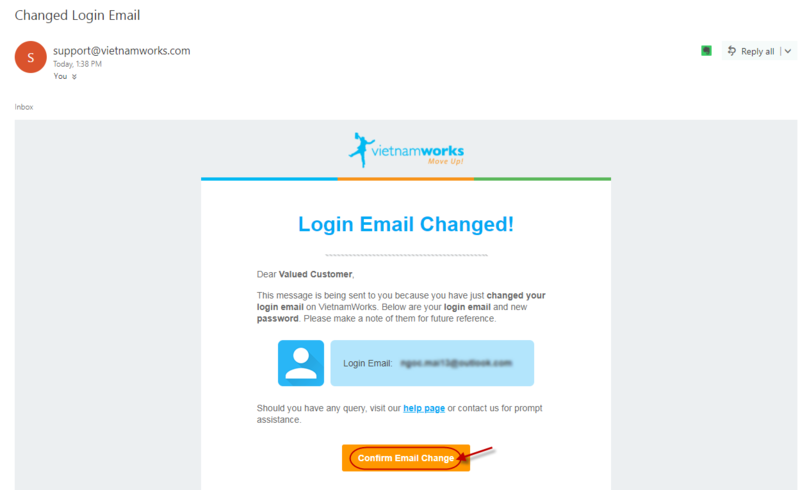 Also please kindly check your Junk Email if Inbox does not show up the email from our system. 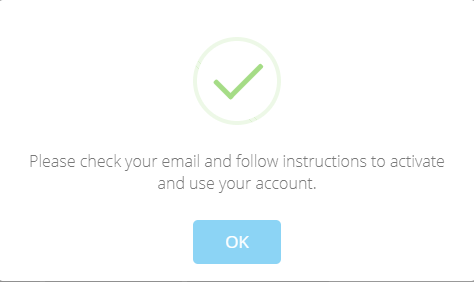 At the final step, Input your New Email Address and Password to sign in as your new Username. You will continue to use this new email from now on.